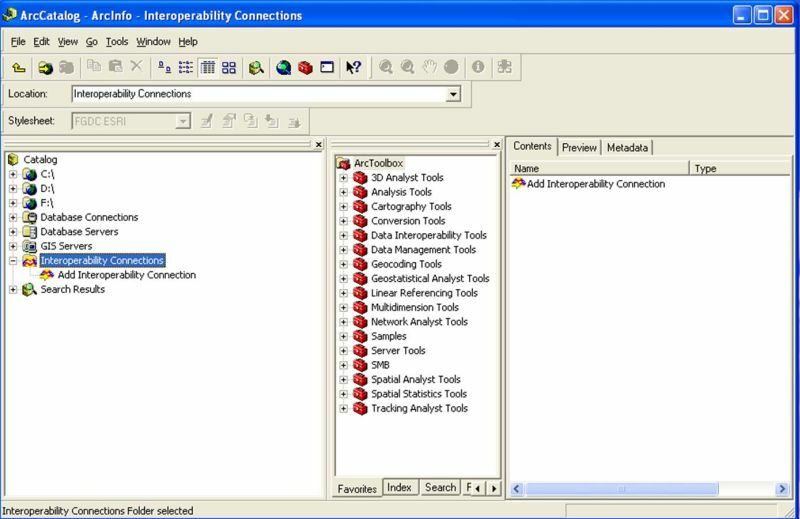 Select "GML Simple Feature Level SF-0 Profile" from the "Format" pull down menu of the "Interoperability Connection" window. 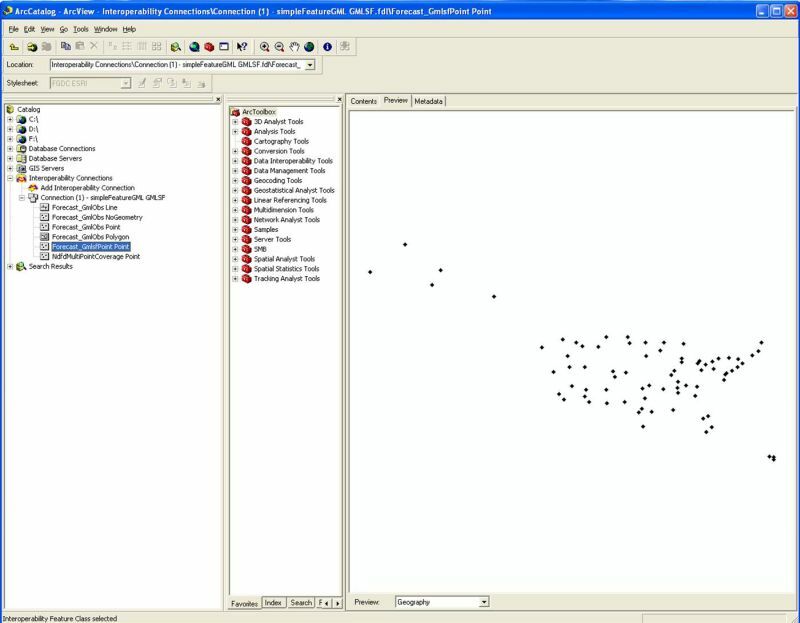 From the "Database" menu, locate and select the file containing the NDFD GML-encoded data. Then click "OK" to dismiss the window See the image below. 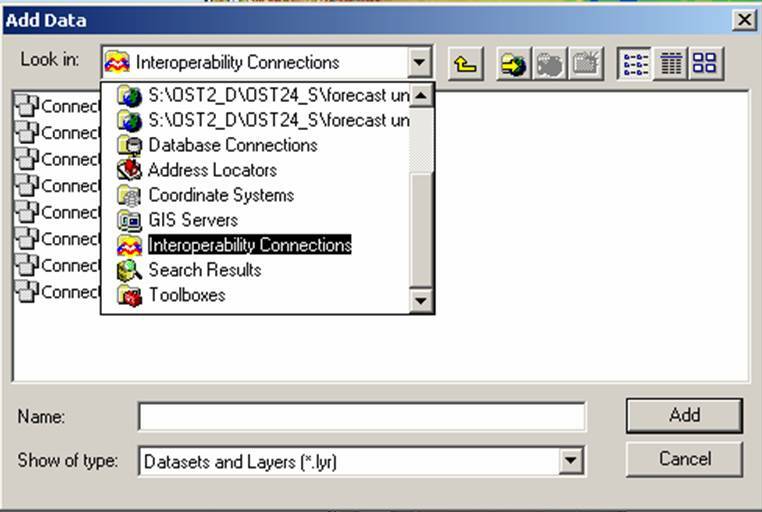 NOTE: The connection will have a number of feature types displayed (see image below). 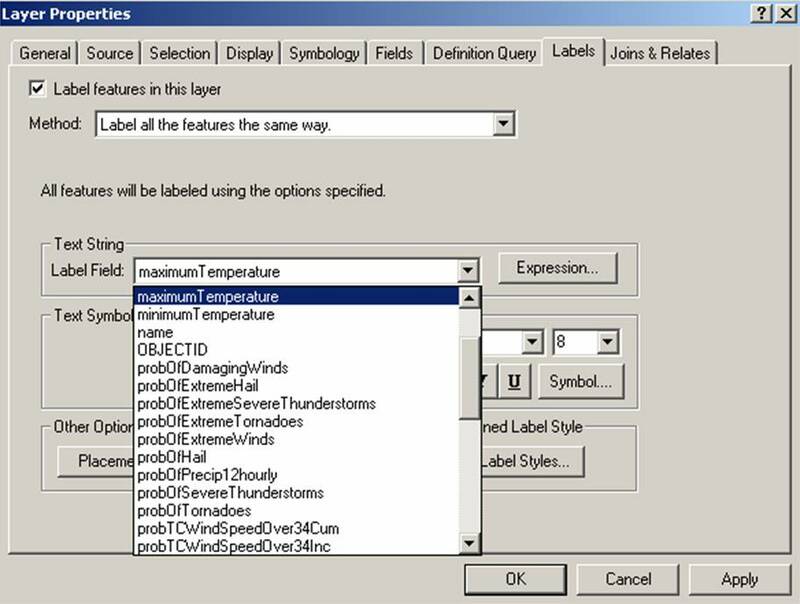 Use the "Forecast_GmlsfPoint Point" feature.